We love connecting with our local community in Parker. 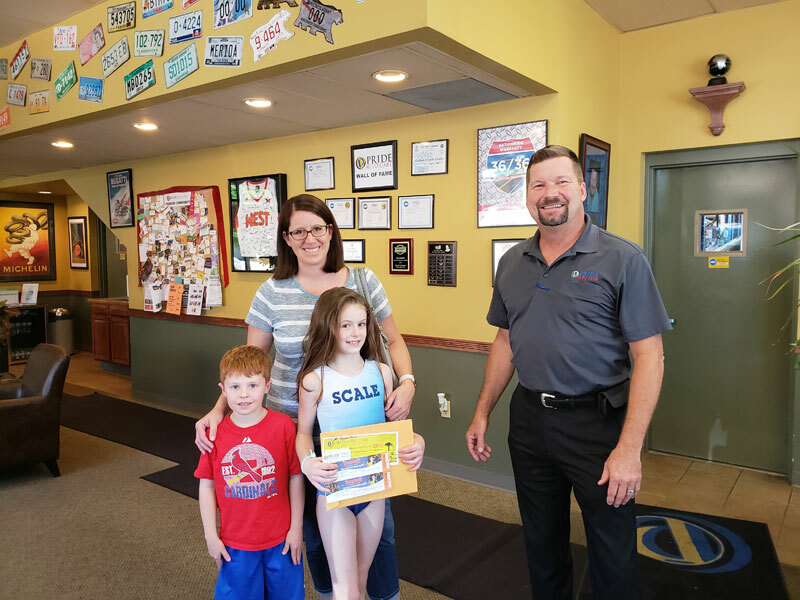 Pictures is Al Pridemore with the family who won tickets for the Rotary Fundraiser at Boondocks. We are so happy they enjoyed it. Leland as so nice and informative! The waiting room was so comfortable and everyone we interacted with was knowledgeable and honest. Thank you so much! I can trust Pride Auto to take care of my car, to do it right and not try to up-sell. It’s always a pleasure doing business with Pride Auto. The staff is so pleasant and trustworthy. Excellent service, friendly people. they simply do outstanding work done correctly. What an AMAZING experience we had with Pride Auto. I can’t say enough good things about this place. Most importantly, they are great mechanics at a reasonable price and very nice people. They were able to get us an appointment within a couple days and although they were busy, I didn’t feel rushed. 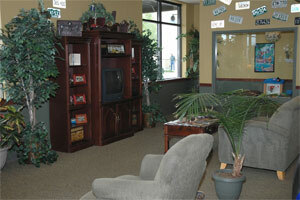 They have a comfortable atmosphere to hang out if you want to wait while they work on your car. The car was ready when they said it would be at the price they quoted. What more could you want? Your mechanics always do a great job! I feel that your shop is honest and that is very important. As always, Pride exceeded my expectations. I was given an immediate appointment and received excellent service. Leland always goes the extra mile to make customers happy. I’ve been a customer for 15 years and will remain one. As always, the staff is friendly and professional. We have taken our cars and trucks to Pride for many years, they are honest and I would refer this company to my family and friends. Pride has always delivered amazing service to us; they have always gone out of their way on multiple occasions to fit us in for emergency repairs. We used to use dealership for repairs, but Pride Auto is much more reasonably priced and we never suspect that they are trying to sell us something that we don’t need. As always the folks at Pride Auto Care took great care of me and my car. I’ve been going to Pride for many years, as do my parents and my sons. If you’re not having Pride service your vehicles you’re missing out! Great experience as always with the Pride team. They go above and beyond to find you the best tires, at the best price, and do the work on a schedule that meets my needs. Unless I can avoid it, I will do all my auto shop needs with Pride. 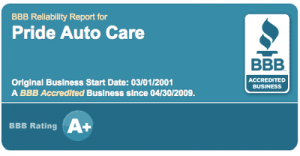 Having had a lot of work to be done I believe they satisfied my need to find reputable and courteous auto care. I’m going to continue to use them in the future for sure. I recommend this service center for your car care needs. Consistently competent, caring, and professional! I’ve been a grateful customer since they opened up their Parker branch! They treat you like family, and their work is outstanding!!!! HIGHLY recommend them, /! : in fact, continue to send people to Pride Auto for their car care needs. These guys are quick, honest and helpful! 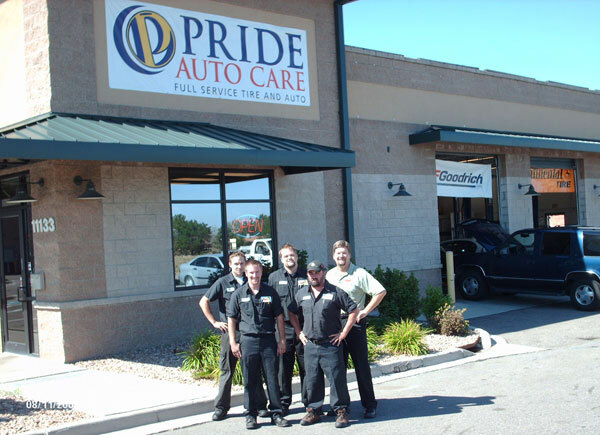 Pride Auto Care always fits our vehicle right in when we need service or repairs. They consistently provide discount coupons as well as make us aware of rebate opportunities. We have always been extremely happy with the service provided and we trust that recommended repairs do need to be made. The Parker Community has lots of young families and to help accommodate you we have a great playroom for your kids to enjoy while you wait. If you need to wait for auto repairs our Parker location accommodates you quite nicely with our comfy waiting area complete with Cable TV and Free WiFi Internet. The Pridemore family has built its reputation on down home values with friendly customer service and our “no excuses” service promise. We offer you peace of mind and stand by our work with a no-cost, nationwide 36-month / 36,000-mile warranty.